Hawaiian poké made with fresh local ingredients. 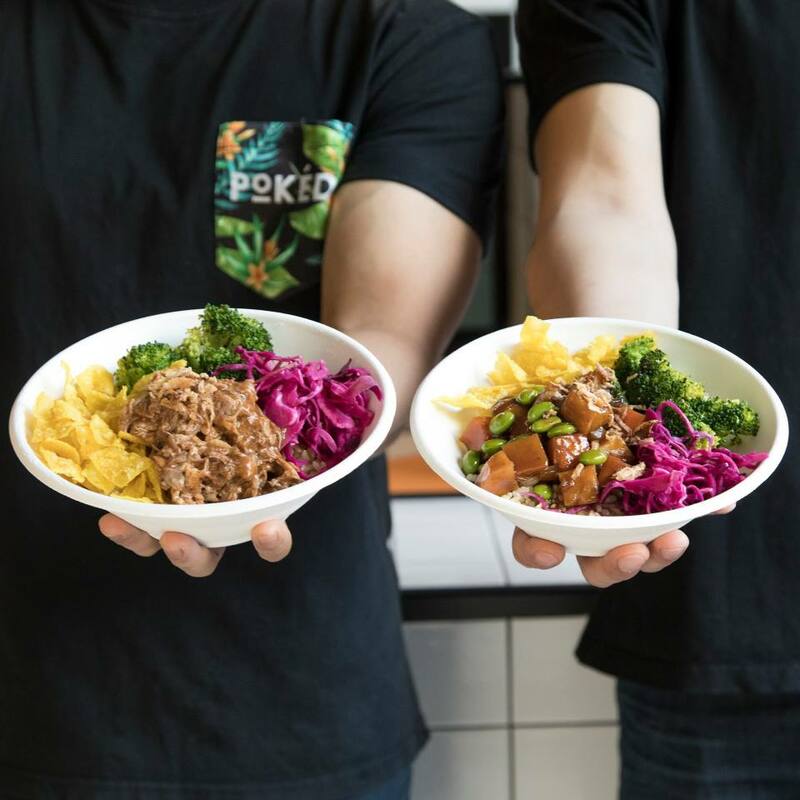 Pokéd is Australia's premier poké location - serving fresh, delicious bowls, crafted with sustainable local produce. Create your perfect poké in six steps. Select a size, base, protein, sauce, side salad and toppings - Pokéd will do the rest! Fresh Hawaiian, designed by you. Healthy and ethical. Pokéd sources sustainable salmon and MSC certified tuna. Hey Hawaii! 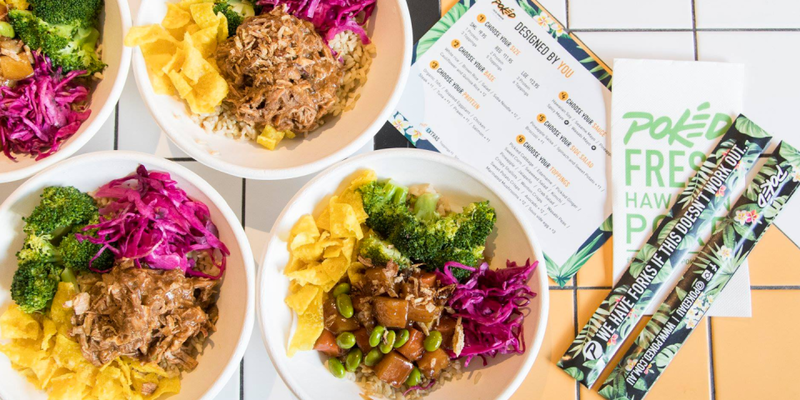 Pokéd's interior brings vibrant and sleek style as fresh and colourful as their bowls. Editor's Pick: Regular bowl with soba noodles, roasted eggplant, chicken, Hawaiian soy, pineapple salsa, avocado, jalapenos, seafood salad, sweet corn and sweet potato crisps. Pay with Liven at Pokéd and earn 10% of what you spend in Liven Cash - your digital dining currency.